Release Date:07/22/2016;Notes:Pessimist presents Balaklava. "Balaklava" is the dark blue space where icy drum'n'bass minimalism and sub-aquatic dub-techno meet. Stripped, shadow-boxer drums, swooping drones and earth-shaking subs, with a thin layer of crackle and mas-terful use of silence. 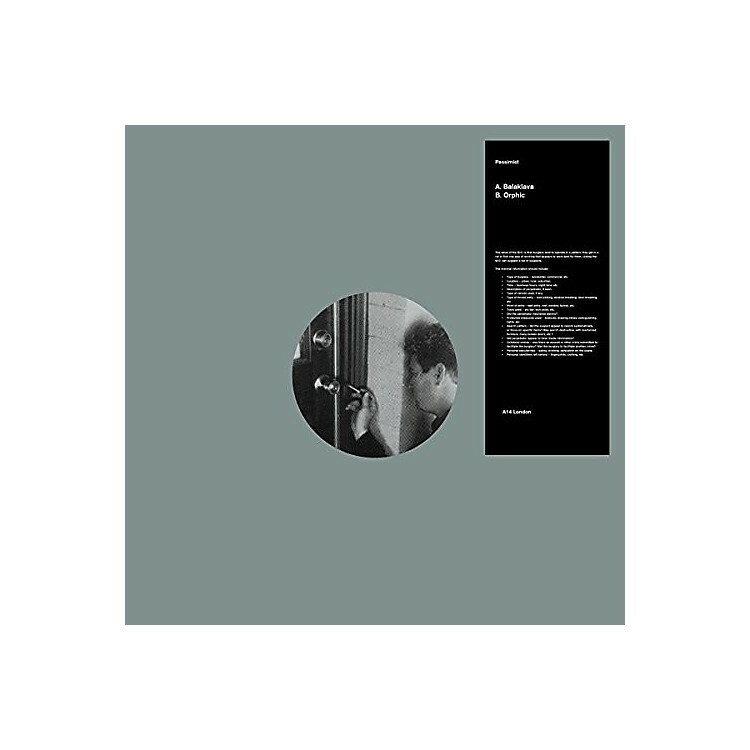 On the flip, the dense, dungeon rollage of "Orphic", an effortless bridging of torques and tempos that builds on the radical groundwork of Regis or Felix K. The Bristol-based producer and UVB-76 co-founder has truly excelled himself here, demonstrating both a subtlety and a ruthlessness that sets him apart from his peers.